Learn how to repair corrupted MoserBaer USB flash drive 8GB.Download MoserBaer Format tool and fix Moser Baer Usb Pen drive 8 GB . Hello My friends , today we will explain how to repair MoserBaer USB flash disk .If you have a corrupted Moser Baer flash drive don't through it , you can fix it now and make it like a new one .MoserBaer Upgrade Tool is designed to update MoserBaer 8GB flash drive firmware . MoserBaer format tool will format your flash drive .You must take a backup of your files if you can because when you start updating flash firmware , all files will be erased automatically .To fix your MoseBaer usb stick , follow the next repair tips . Download MoserBaer recovery tool from the links below . 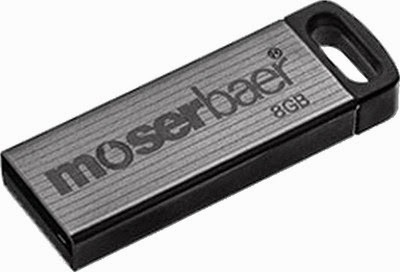 To use Moserbaer format tool , your flash drive must be MoserBaer 8 GB flash drive only . Plug-in corrupted MoserBaer USB drive into the USB Port . Press Start (A) key, complete processing will be done automatic . Do not interrupt during progress (all USB data will be deleted during upgrade). Wait until finish formatting MoserBaer flash drive . You can read this article also " Moser Baer Micro SD Card Formatting software "